Drivers are being warned that Kenilworth's roads are likely to be 'exceptionally busy' ahead of the final horse fair of the year next weekend. The fair takes place on land off Thickthorn Island on Saturday September 29 and Sunday September 30, and often causes traffic in the area. 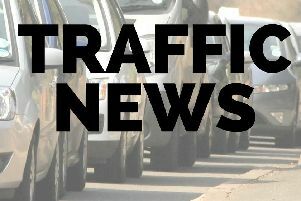 A spokesman for Warwick District Council said: "The council has been working with the organisers of the event and the police to put a traffic management system in place, however people visiting Kenilworth should be prepared for delays. "As well as daytime patrols, there will be enhanced policing in place on both Friday and Saturday nights."